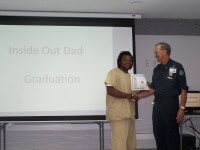 The programs and services below are provided with the intention of positively promoting and influencing hygiene, idleness, boredom, non-criminal acts and helping to prepare inmates for lifestyle changes upon release. Some inmates are court ordered to attend certain programs. The Marion County Adult Education Center provides instruction and materials for a combined GED preparation and adult basic education class. The number of hours per week of instruction will be at their discretion. 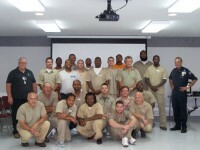 Prisoners indicating a desire to attend class will be screened before placement in classes. ​SAP is a six month inpatient treatment program that offers curriculum that consists of criminal addictive thinking, drug and alcohol education, socialization, and relapse prevention. It also offers cognitive therapy groups, process groups, and promotes prosocial activities. Three months within the program each client is offered the opportunity to invite their family and friends to a family contact visit. A family seminar is offered and presented by the ALPHA SAP counseling staff. This family seminar goes over resources within the area that the family can utilize, family dynamics of addiction, and gives the family an opportunity to share their experiences. - Applicants must be a male Community Custody level 1, Class D 1/ Class D 2, or a recommended Alternative Sentence client. -The client must have at least six months and no more than 18 months to serve or to the parole board or serve out date. -Clients must have completed an Evidenced Based Substance Abuse program (DOC or AOC approved). -Clients must have a minimum of 60 days clear conduct for a Category 4 or above and Category 3-11. The purpose of Substance Abuse Medication Assisted Treatment (SAMAT) is to prevent relapse for inmates with opiate addiction or substance use disorders participating in a substance use program operated or supervised by the Department in compliance with Senate Bill 192. The goal of the program is to facilitate transition of inmate patients into an outpatient substance abuse treatment program which employs a multi-faceted approach to treatment combining the use of FDA-approved extended release VIVITROL, counseling and referral to community based providers upon release. 1.) Active participants in the Substance Abuse Programs (SAP) who have been paroled upon completion, met the inclusion criteria, and have a documented opioid or alcohol dependence. 2.) Those that have completed the Substance Abuse Program (SAP), met the inclusion criteria, and have a documented opioid or alcohol dependence.